Follow the steps below to set-up Big Blue Button in Canvas. 1. 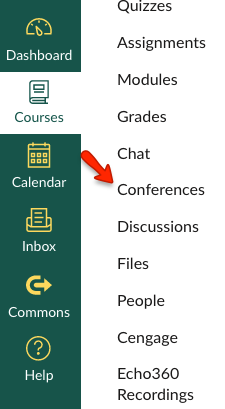 Create a Conference by clicking Conferences in the navigation panel. 3. Fill in the Name and Duration fields, and select BigBlueButton in the Type dropdown. 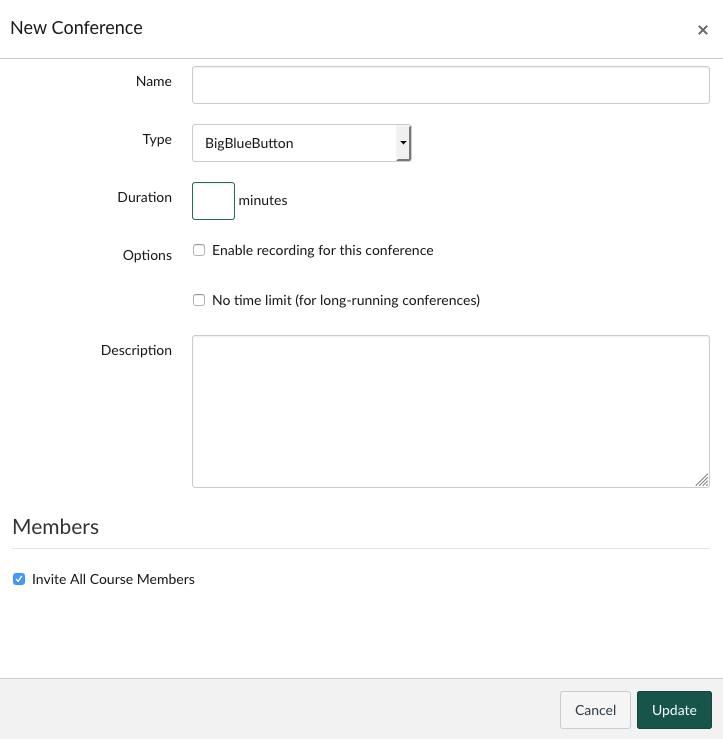 Optional: Enable recording for this conference (the record button must be started when session begins); no time limit (for long running conferences). 4. To invite all course members, check the box under Members. If the box is unchecked, select individuals to invite. 6. The conference will appear under New Conferences. Click Start when you are ready to begin; an email will be send to course members to join the session. Watch this video to learn more about Big Blue Button.